Hi! We're Beacon Bee: two artist/beekeepers living in Beacon, half way up the river in New York's Hudson Valley. 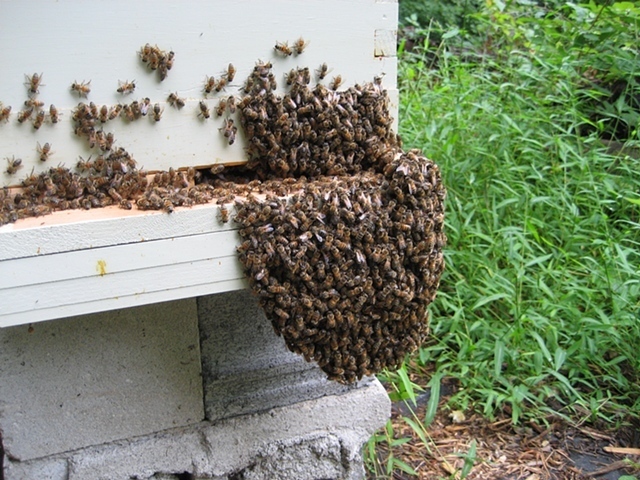 Deb started beekeeping in 2007, partly out of curiosity and partly out of concern about the fate of pollinators (for information on this and other topics, click on "Links"). Over time, in addition to harvesting honey, we've developed a range of all-natural beeswax-based skin and hair products using only the finest ingredients, including beeswax taken from our own hives. Beacon Bee Balm is now available in a variety of sizes, scents and formulations. To view our products, follow the "Shop" link under "Pix+Shop". If you are a retailer, please contact us for our wholesale prices. Finally, more information on all things bee can be found by clicking on "Deb's Bee Blog", or on our facebook page (see link above). Also, check out the pictures in the "Pix" folder under "Pix+Shop" for a peek at the life of the hives.